Dark Albion's setting centers around its politics but the cracks of Chaos around Europe are nasty & very dangerous by virtue of its cults. The shadow of the Elves of Avalon is dark, dank,& deeply rooted in the creation of the Welsh. But when one begins to blend in H.P. 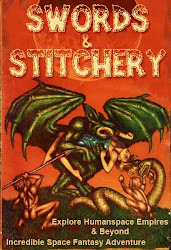 Lovecraft's Dream cycle things get very dangerous & weird. And sure most would mention Clark Ashton Smith because I have with his Averoigne cycle. as well as the connection to 81's X2 Castle Amber By Tom Moldvay. To look at this cycle is too look at the history, culture, & snap shot of the region of Averoigne. 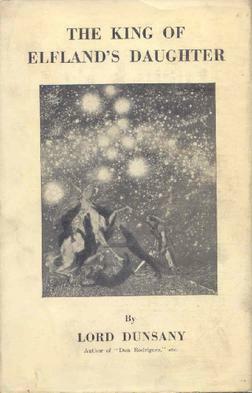 But the real appendix 'N' connections in Albion happen when we look at an alternative dream worlds mainly those of Edward John Moreton Drax Plunkett, 18th Baron of Dunsany (/dʌnˈseɪni/; 24 July 1878 – 25 October 1957), an Anglo-Irish writer and dramatist; his work, mostly in the fantasy genre, was published under the name Lord Dunsany. "The lord of Erl is told by the parliament of his people that they want to be ruled by a magic lord. Obeying the immemorial custom, the lord sends his son Alveric to fetch the King of Elfland's daughter, Lirazel, to be his bride. He makes his way to Elfland, where time passes at a rate far slower than the real world, and wins her. They return to Erl and have a son, but in the manner of fairy brides of folklore, she fits uneasily with his people. She returns to the waiting arms of her father in Elfland, and her lovesick husband goes searching for her, abandoning the kingdom of Erl and wandering in a now-hopeless quest. However, Lirazel becomes lonesome for her mortal husband and son. Seeing that she is unhappy, the King of Elfland uses a powerful magic to engulf the land of Erl. Erl is transformed into a part of Elfland, and Lirazel and her loved ones are reunited forever in an eternal, enchanted world. During the course of the novel, the King of Elfland uses up all of the three powerful magic spells he had been reserving for the defense of his realm." The kingdom of Elfland's gateway places it near Elveden ("elves' hill") in Suffolk England. The kingdom of Erl might well be a Welsh or minor borderland affair left over from the time of the Roman Occupation. The king of Elfland's spells are actually powerful occult weapons. They were prepared to repel the returning Elven powers as the rightful owners of Elfland. But circumstances insist that these spells be used to alter reality on a grand scale. The themes of chaos ala Dark Albion are present in Lord Dunsany's The King of Elfland's Daughter. Many of the themes of this novel also mirror feelings that lurked in the background of modern folks. 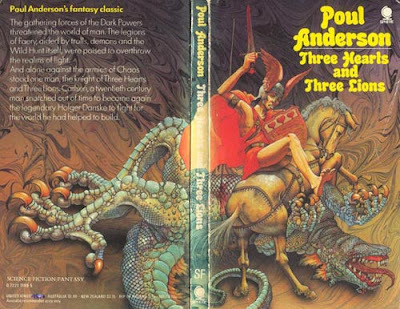 The war between Law & Chaos are in Lord Dusany in the background but the setting presented in this book seems very much like the worlds presented in Three Hearts & Three Lions by Poul Anderson. "Holger Carlsen is an American-trained Danish engineer who joins the Danish Resistance to the Nazis in World War II. At the shore near Elsinore, he is among the group of resistance fighters trying to cover the escape to Sweden of an important scientist (evidently the nuclear physicist Niels Bohr). With a German force closing in, Carlsen is shot – and suddenly finds himself transported to a parallel universe, a world where northern European legend concerning Charlemagne ("The Matter of France") is real. This world is divided between the forces of Chaos, inhabiting the "Middle World" (which includes Faerie), and the forces of Law based in the human world, which is in turn divided between the Holy Roman Empire and the Saracens. He finds the equipment and horse of a medieval knight waiting for him. The shield is emblazoned with three hearts and three lions. 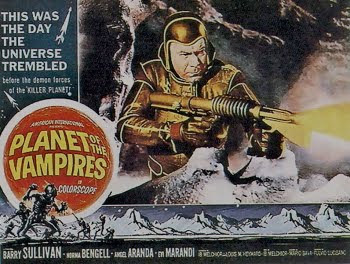 He finds the clothes and armor fit him perfectly, and he knows how to use the weapons and ride the horse as well as speak fluently the local language, a very archaic form of French"
These dream worlds are the last remains of the minor planes of dream left after the sinking of Atlantis during the last Ice Age. The fall of the classic gods of mythology left the servants of the Elven races on full retreat into HP Lovecraft's Dreamlands & other minor cosmological realms of imagination. Many forgotten gods of classic mythology are now under the thumb & protection of H.P. Lovecraft's mythos gods. 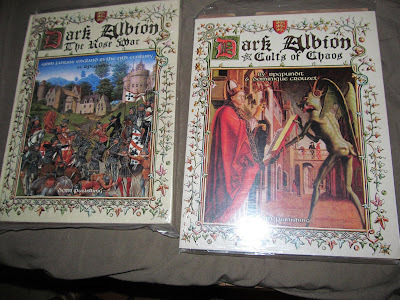 Many of the demonic dark Powers & forces of Albion have their basis in the chaos because of the fall from the status of gods to demonic forces that the events of history have wrought. This parallels the changing role of the mystery cults of the Romans to the secretive & destructive cults outlined in Dark Albion's Cults of Chaos. 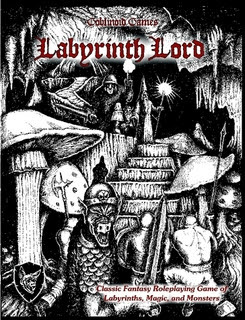 Cults of Chaos is a perfect setting book to add to Labyrinth Lord because it fits into the mold of other Goblinoid Games products such as the Realms of Crawling Chaos.